If you answered A, B or C join the worldwide club of confusion over these two beautiful plant types. If you answered D, it may be that you are so enchanted by their beauty and fragrance, that you have never really considered any other details. If you answered E, you’re absolutely correct in that, although Pelargoniums and Geraniums both belong to the Geraniaceae family, there are distinct and easily distinguishable differences between these two Genera. 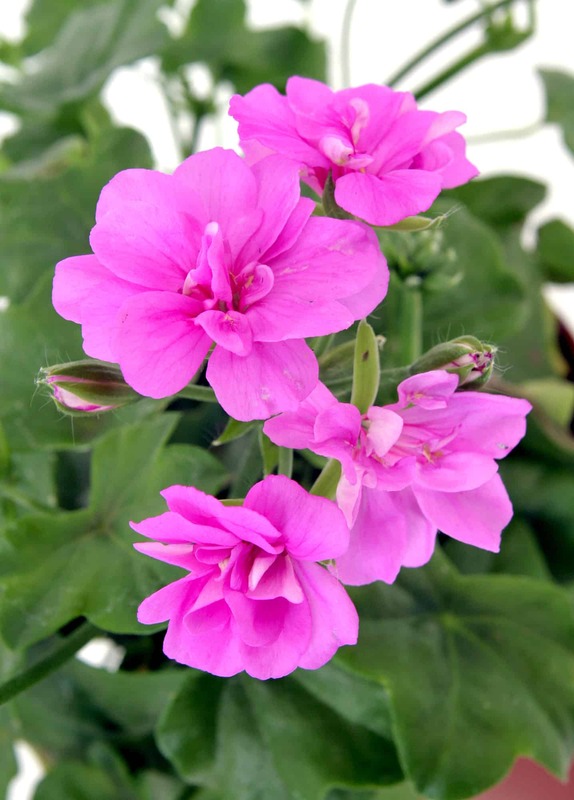 Geraniums are mostly found growing naturally in the temperate regions of Europe and North America. Geraniums are also known as Cranesbills as their long seed pods resemble the beak of a Crane. Seeds are ‘shot’ quite far away from the plants when these seed pods spring open. 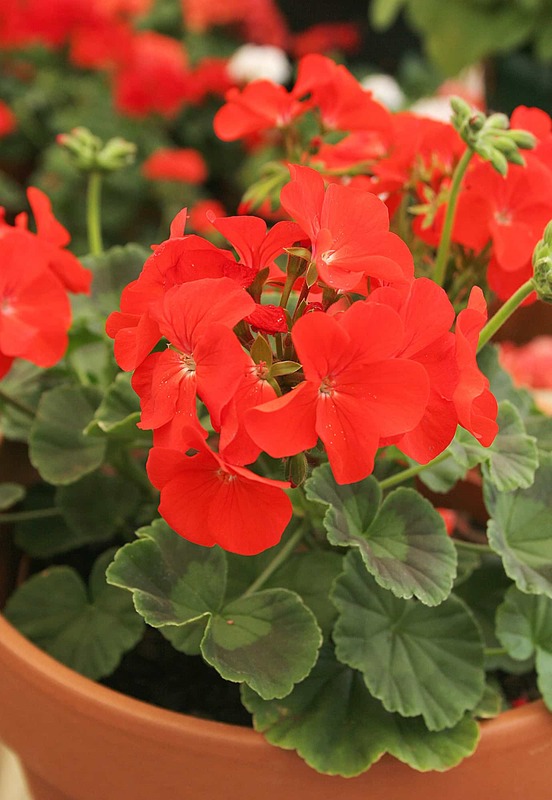 Geraniums are hardy perennials and can generally withstand a fair amount of frost. 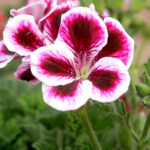 The Geranium flower is made up of 5 equal sized petals, resulting in a flat, symmetrical bloom. Their stems are soft and herbaceous. 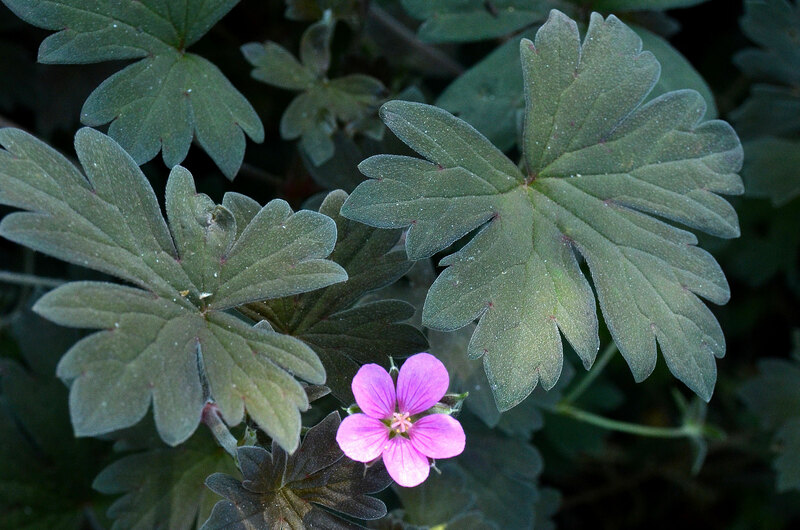 Geraniums have a wide, low growth habit and they are often used as groundcovers. 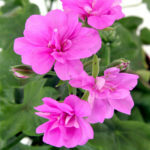 Look out for the ever popular Geranium incanum and Geranium sanguineum available at Lifestyle Home Garden in season. 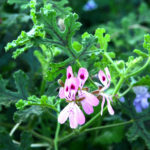 Pelargoniums are almost exclusively found in Southern Africa with ±200 species being indigenous to South Africa specifically. The first Pelargoniums were exported from the fairest Cape by John Tradescant in the 1600’s and from these thousands of new hybrids have been bred. Pelargoniums have feathered seeds, shaped like a stork’s bill, which are dispersed by the wind. 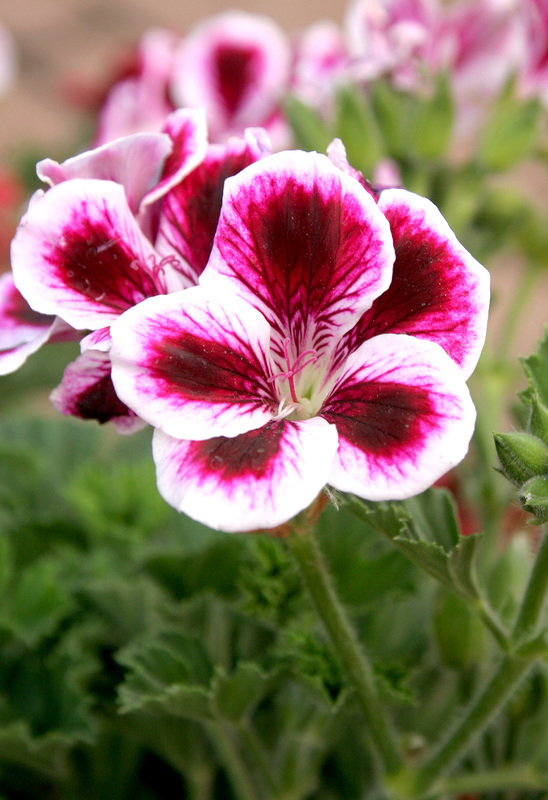 Pelargoniums are semi-hardy and more sensitive to frost. In some areas they are grown as annuals. Pelargonium flowers also consist of 5 petals, but they are asymmetrically arranged with two larger top petals and three slightly smaller base petals. Over time the stems of Pelargoniums can become quite woody and hard. 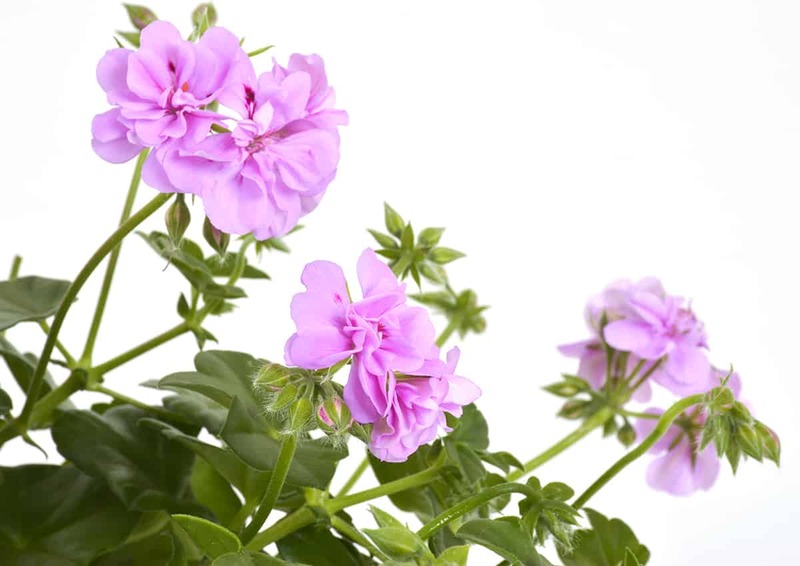 Some Pelargoniums have a more upright, bushy growth and can grow quite high while others have a more trailing habit and are often used in hanging baskets and pots. The leaves of Pelargoniums are sometimes a bit hairy and can be very strongly scented in a range of fragrances like nutmeg, rose, mint and lemon. Zonal Pelargoniums have slightly hairy leaves, often with a darker horse-shoe marking or pattern in the centre of the leaves. Some Zonal Pelargoniums, like ‘Vancouver’, have really fancy and striking colour variations and patterns on their leaves. These Pelargoniums have a shrubby, upright growth habit and do well in beds and pots in a sunny position, while the newer, lower-growing cultivars are very attractive along borders. Flowers are produced in clusters and blooms can be single, semi-double or double in a range of colours. 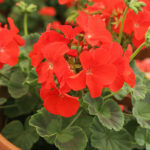 These Pelargoniums have smooth, waxy, ivy-shaped leaves and a more trailing habit, making them excellent subjects for hanging baskets, window boxes and pots and as trailing covers over walls and structures. The single, double or rosette flowers come in a range of striking, bold colours. 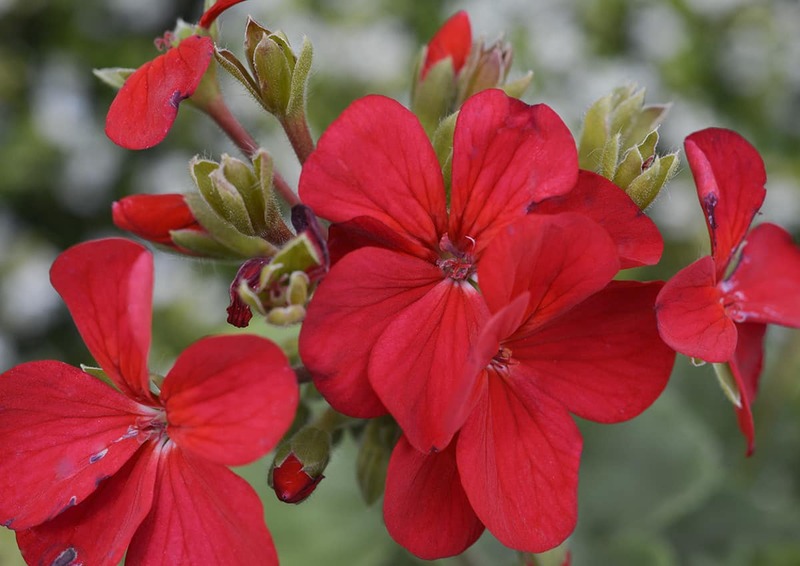 As the name indicates, this is Pelargonium royalty with velvety leaves and the most magnificent flowers, usually with veining or flecking, in a range of truly royal colours. Like Pelargonium zonale, they have a more upright growth, but they grow to a bigger size and do particularly well in containers. Where the flowers on these Pelargoniums are less significant, though still very pretty, the leaves make up for it in their incredible variety of scents. This can range from rose, apple and nutmeg Pelargoniums to the citronella infused ‘Mozzie Buster’, known for its mosquito repelling properties. 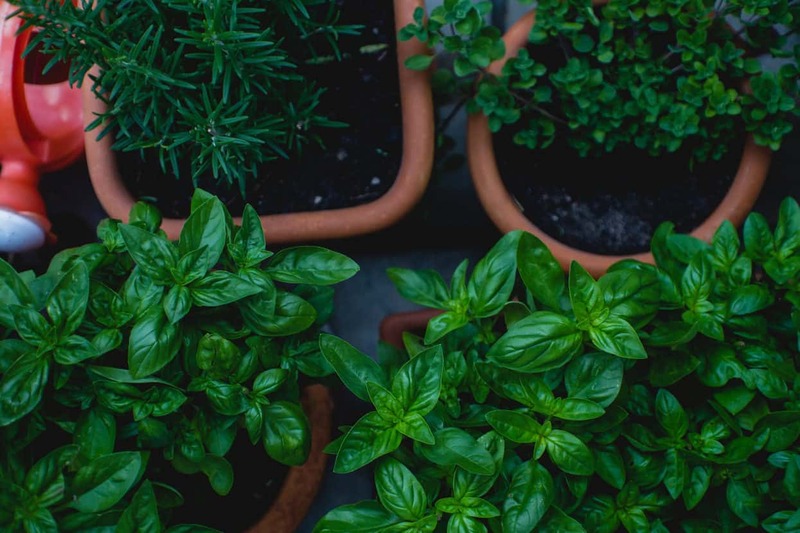 The plants are usually more shrub-like and they are excellent in pots or beds around a sunny patio, in vegetable and herb gardens (for their insect-repelling properties) or along borders and paths where they can be rubbed and brushed against to impart their fragrance. 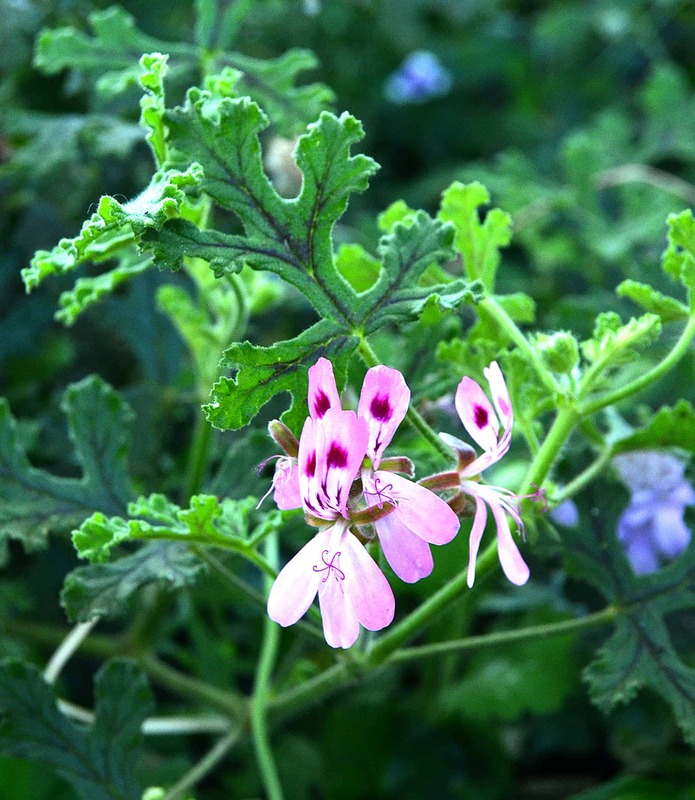 Scented Pelargoniums are often grown for their medicinal properties and are used in teas, potpourris and essential oils.